We all have dreams; I'm sure at some stage or another many of us dreamt of being a sports star or pro-athlete of some kind. For a lot of us, that dream didn't come true. This cat seems to have had a similar dream; but it didn't let its dream just be a dream. 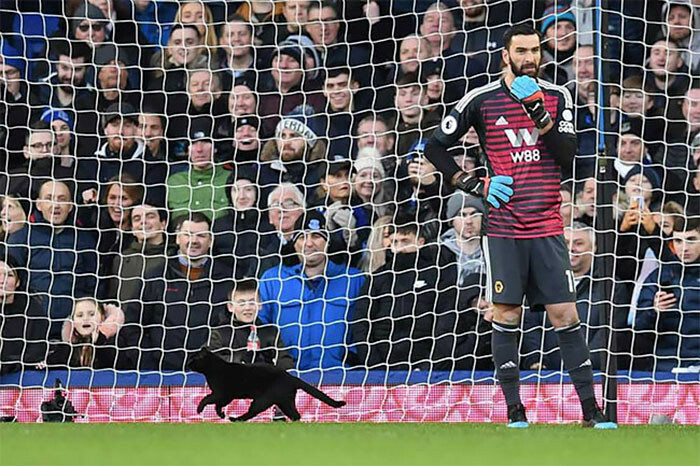 Instead, it chose to interrupt a premier league football match. Cats are notorious for doing whatever they feel like, whenever they feel like it; this cat is no exception to the rule. 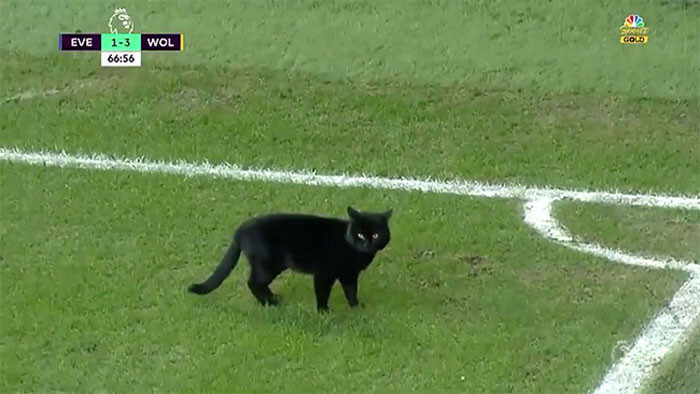 This cat decided to take it upon itself to enter a football stadium during a match, and run across the pitch. 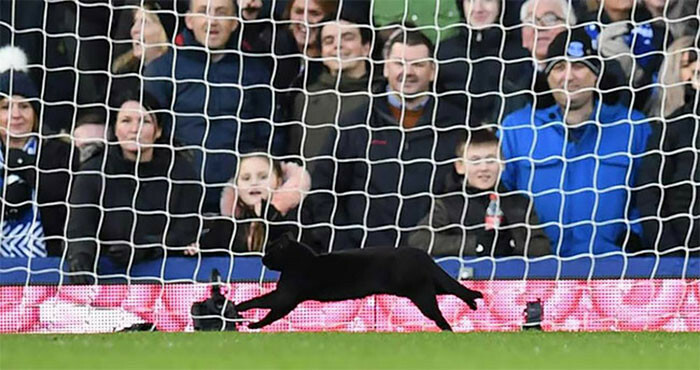 There's a paws in the game to deal with a pitch invader. Here's the purrpatrator. At first it was running around on the grass enjoying the attention from the crowd. But anyone who has ever met a cat knows its very difficult to get them to do what you want! Helping out the goal keeper! Ready to take the kick-in!